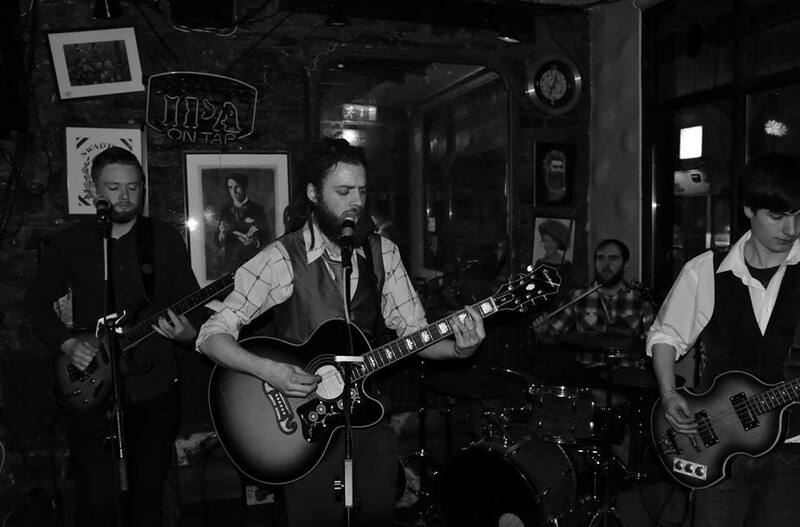 The Well Dressed Hobos are a rock Band based in Co Sligo, Ireland. They incorporate several genres, rock blues and reggae fused with social activism. A common theme throughout their music is the message of peace, freedom, social change and a move towards a more sustainable alternative lifestyle. They try to encourage people to strive for something better and in these turbulent times when the business as usual mindset no longer works. The well dressed Hobo’s music can give you something That we all can relate too. The band was formed with Danny writing songs a few years ago and later met Dean in 2015. They began jamming and played with a few different musicians but nothing Really took hold. They eventually met up with Eoghan and Otter in 2016 and things started to come together.This completed the line up that that had being missing and the Band really Gelled into something Special. Since then the four piece have gone from strength to strength playing various venues and festivals such as The Simon Gigs, Secret Village and Scrobarnach . They released their Debut EP , Having a laugh now, on November of 2017 and it was received very well. The six track EP is just the beginning of the Band’s Journey as they are back writing again.. With a fast growing fan Base , The well Dressed hobos are set for a very positive future and successful Career. Their on stage performance is an upbeat and unforgettable experience for everyone who goes and sees them. I have seen The well Dressed Hobos perform and they are a fabulous Band. If you are looking for a good night of Music then go and see them, You wont be disappointed ..